It got a lot closer than it did last time, but once again, Elon Musk's SpaceX rocket booster was not able to land safely during another attempt on Tuesday, The Washington Post reported. But! The Dragon capsule did launch successfully from Cape Canaveral, Florida, and will resupply the International Space Station as planned. So, what part of the launch failed? Well, what Musk and SpaceX are trying to do is figure out a way to make space travel less expensive and to eventually put humans on Mars and other planets. Usually a rocket launch requires a booster, which then burns up while a small part of the rocket continues into orbit. Musk thinks this process wastes a valuable part of the rocket that could be reused. 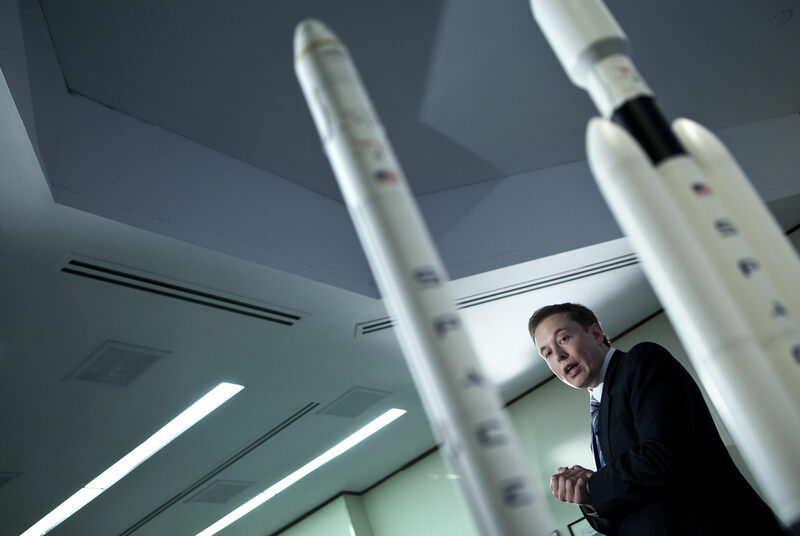 If he were able to reuse the rocket boosters, that would significantly lower the costs involved with trying to put a rocket into space, Musk has explained on the SpaceX website. If one can figure out how to effectively reuse rockets just like airplanes, the cost of access to space will be reduced by as much as a factor of a hundred. A fully reusable vehicle has never been done before. So on Tuesday, SpaceX tried to land the Falcon 9 rocket booster on a platform in the Atlantic Ocean. But, Musk tweeted, "excess lateral velocity" caused Dragon to tip over when it neared the target. This is a lot closer than they were able to get the last time they tried to land a Falcon 9 craft, CNN reported. In January, it hit the landing target at an angle and exploded. Despite the disappointing result, Musk and many other science enthusiasts were pleased to take another step toward successfully landing a Falcon craft. But after Musk has gotten so close, one has to believe that this real-life Tony Stark is not going to give up until he's figured out how to stick the landing. The part of the rocket that did launch successfully on Tuesday is expected to dock with the International Space Station later this week and bring the astronauts on board research equipment and supplies, including an espresso maker (which, really, before now, the astronauts didn't have a way to make coffee?!). And it's incredibly cool to see how close SpaceX got this time: The Falcon nearly landed but tipped over. No word on the next Falcon launch attempt, but here's hoping it's soon. Mars is nice this time of year.